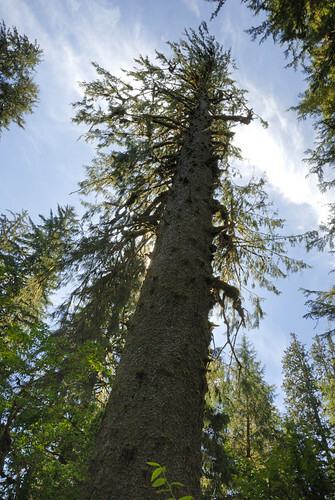 Thanks for featuring my Sitka Spruce photo on your website. The second photo is great, I will have to remember the diagonal technique. Is that a Sitka Spruce too? It looks like it, but I have had some trouble differentiating the Sitka Spruce from Western Hemlock. 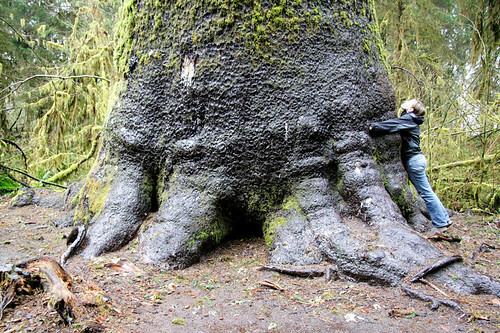 The DBH of the Sitka Spruce in the above photograph is about 10 feet.